As the government of India focuses its attention on the fight against tax evasion, a specialized tax investigations unit is reporting that it has uncovered over INR 55 billion (approx. USD 1.22 billion) in evaded excise duties and services taxes last year. The Directorate General of Central Excise Intelligence (DGCEI) of India, an agency within the Central Board of Excise & Customs that is charged with investigation of tax evasion, released on May 19th its performance results for the 2010 fiscal year, highlighting the deeply rooted problem of tax evasion in India. During the 2010 fiscal year the DGCEI registered 1 190 separate cases of evasion of federal excise duties and service tax. The number of investigations is a 29 percent increase over the previous year, when only 850 investigations were conducted. 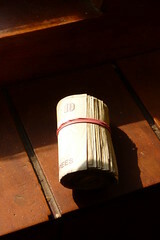 In total, the latest cases concerned evasion of approximately INR 13.56 billion (approx. USD 302.01 million) in evaded central excise duties, and an additional INR 43.52 billion (approx. USD 969.28 million) in service taxes. The total amount evaded is 15 percent higher than in the previous year. Investigations conducted throughout the period have led to approximately INR 4.31 billion (approx. USD 95.99 million) in unpaid taxes being recovered so far. According to the DGCEI, the most commonly seen methods of avoiding services taxes included gross undervaluation of taxable services, illicit manipulation of the input credit schemes, and misuse of the reverse charge mechanism. Only a small portion of the investigations conducted featured simple non-payment of services taxes. Excise duties were commonly evaded through unwarranted use of exemptions written into the tax system, significant undervaluation of goods liable for excise tax, non-payment of taxes owed, and misuse of the input credit system.